Owning a car is a virtual necessity in this day and age. Automobiles were introduced just around a century ago. However, from the time they were introduced, there have been a lot of advancements in the industry. Modern vehicles are equipped with an extensive array of different systems that are set in place to make your driving experience better. However, with the number of different features that are found in most vehicles, maintenance can be a bit of a hassle. Most people don’t know anything about the intricate wiring or the systems running in their cars and, as a result, often have to rely on a mechanic even if the slightest of issues arises. 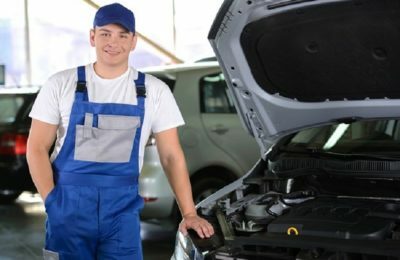 Just as any other machine, your car also requires adequate servicing from time to time in order to maintain its efficiency and continue running smoothly. Local companies that offer car servicing in Eastbourne can help you with the servicing. 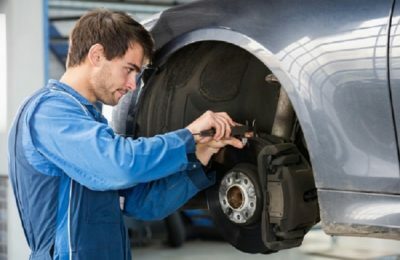 However, even when you take your car to a reputable workshop for servicing, here are some key things that you should check regarding your vehicle’s service. The air filter is installed under the bonnet of the car. The filter is installed to capture the contaminants and dust particles from the air that’s being sucked through the engine’s air intake. After a while, the air filter will get dirty and you will need to replace it. If the air filter isn’t especially dirty, the service technician will just use a blower to get rid of all the dust and reinstall the air filter. Usually, when you take your car in for a servicing, the workers will also replace the engine oil if it’s needed. When getting an oil change, you should always get a new oil filter installed in the vehicle as well. It’s going to ensure that your car continues running smoothly and doesn’t cause a lot of issues. The spark plugs in your car regulate the flow of current from the battery to the engine. If the spark plugs are dirty or aren’t properly connected, your car will begin to stutter. You should know that the spark plugs also need to be replaced once the car reaches around 40,000 km. Still, it’s better if you consult the owner’s manual to see if there’s any different recommendation your car. Even if you aren’t getting the spark plugs replaced, you should still get the whole area cleaned. Ask the service technicians to thoroughly clean the throttle body of your vehicle as well and dust the whole engine bay. While it’s not exactly a wise move to get the engine bay all watered up, you can get it done if you ask the service technicians to mix a bit of oil in the mixture as well. This will prevent rusting and corrosion in areas where the water may not dry up properly. There are other things that need to be checked as well, such as the battery water and the performance of the battery too.